Flourishing in life with abundant bliss. 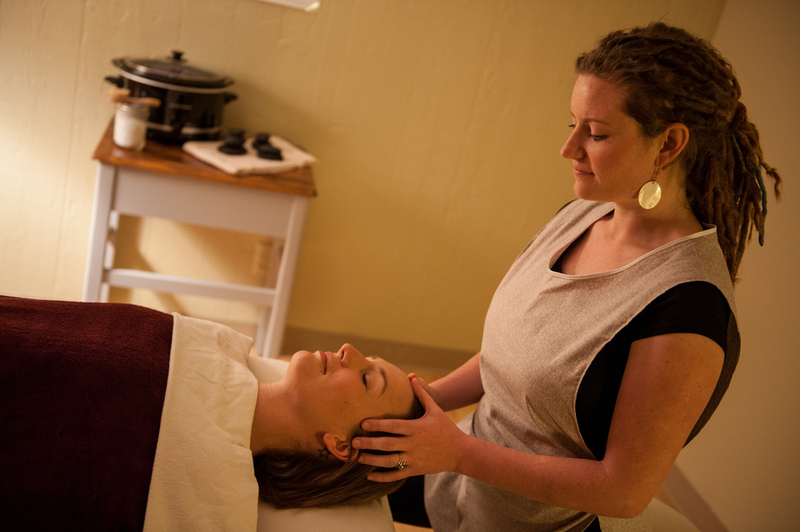 Located in Madison, WI; Peace of Werk facilitates therapeutic treatment sessions in the form of Massage Therapy and Reiki energy work. Healing work incorporates various forms of massage therapy and energy healing to create a transformational experience. Treatments are therapeutic, and invoke many changes in the physical, spiritual and emotional bodies to add clarity to chaos and embody balance. We aspire to build a community of individuals increasing their awareness to balanced living. Eudaimon (yoo-di-mon) Flourishing in life with abundant bliss. Eudaimon represents the ability to find bliss and balance within one's self to achieve a life flourishing in abundance. This higher level of happiness is acquired from honesty and initiative; choosing to make decisions based upon truth. Find your abundant bliss by using patience to look for meaning in your actions and strength to live your life’s purpose. We incorporate these values in a flexible healing environment to aid your journey to centered bliss. We always charge $1/minute or $300/month for Complete Membership. No additional costs for upgrades. All modalities and treatment extras included (options vary depending on training of individual healer). Gratuity not included. Join our monthly massage membership community to receive weekly massage at a discounted rate. For clientele needing transformation from chronic conditions and/or individuals on a self awareness journey. For more information, read about How to Use Massage Membership. Peace of Werk has a range of healers to choose from; each unique in their healing style and offering different services. If you need aid in selecting a healer, visit our Healer Page for a list of modalities and massage styles each healer offers. please select their name after selecting your treatment type. The default setting in our online booking is 'no preference'. You will see available appointments for all healers. Need to view your scheduled appointments? Log into your personal profile HERE. Interested in joining our Short Notice Opening list? We approach this list FIRST when filling empty sessions. For your first appointment at Peace of Werk, you will be required to fill out health history paperwork. If you'd prefer, you may print our forms below and fill out at home. Please visit our Forms page for health history and oncology intake forms.